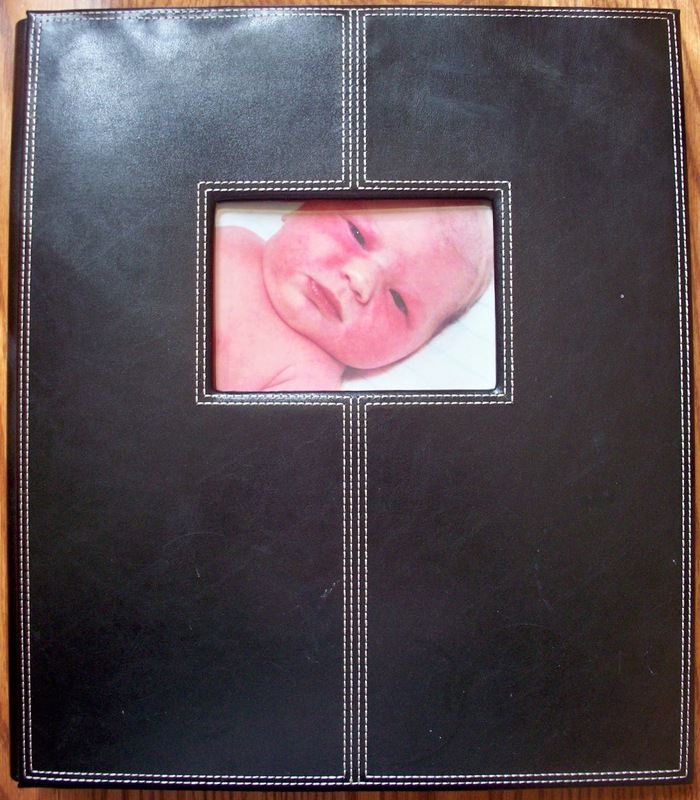 A New Leaf: Purposeful Parenting: make a photo album your official "baby book"
Purposeful Parenting: make a photo album your official "baby book"
When we knew we were pregnant, we talked a lot about baby books with each other and with others. My mum regularly asked us if we had picked a baby book yet. You know, one of those books where you record the birth, baby's first steps, baby's first words, etc. I have a baby book my mom put together for me, and it's nice and I'm thankful she did it, but it's so... baby-ish. It's all pink and girly and only has photos, really, from my first few years of life. It's not a book I wanted to take with me when I moved out, and even now that I have a Bug of my own, it's not a book I desire to have in my home. In short, it's just not a book that's reflective of my life growing up. Our desire for Bug was to have one book that would fully encompass her life with us, from birth to age 18 (or whenever she moves out). We wanted it to be simple in design and full of life from whatever we included in it. In all our thinking and brainstorming, the idea finally came to us: a plain photo book. With lots and lots of pages for pictures. If you like this one, we bought it from Joann's with a coupon. I believe it was originally $25, but we spent $12.50 on it. One feature that was a must for us was that there was no "memo" section. We just want the book full of pictures. No words. There is enough room for 300 pictures in this album. With 18 years to cover, we'll pick 16 photos from each year of her life to include. Trust me, it is hard to pick only 16 photos from Bug's first year. But she has, God willing, 18 years of life to live, and her first year, while so special to us, won't be so special to her when she's older. Mostly because she won't remember it. I don't want to be caught up in the years Bug won't remember. Instead, I want to just embrace each moment and know that God has a plan. A plan that I pray involves lots of years of life and lots of silliness as she grows up and makes her own memories - with me and without me. When Bug grows up and moves out, I want this book to be the first item she packs for her new house. I want this book to be something she can keep the rest of her life and show her babies and grandbabies, so they'll see her childhood. I want this book to have a place of honor. It might and it might not. But the first step to even getting there is making it simple for Bug. One book. One book that includes the best memories from her first 18 years.